Keeping it psychedelic, and most of all jam-packed with energy, has been like a religion to Marcos Sanchez (F.F.T/Lamat) throughout these past few years. Still a strong contender in today&apos;s psychedelic scene, Marcos brings us the third and finest F.F.T album yet. The progress he has made in both the Lamat project, as well as F.F.T, has earned him a place amongst the great ones of our time. 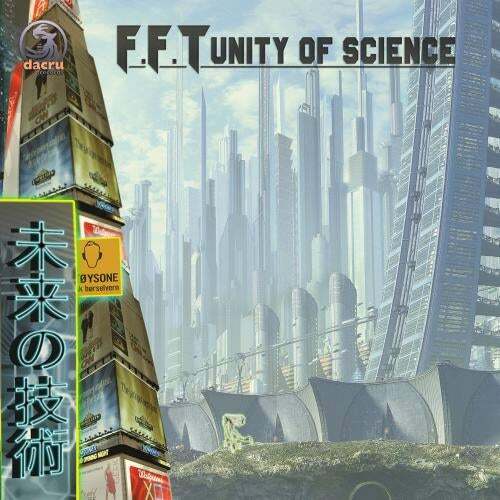 &apos;Unity of Science&apos; is guaranteed to please the existing fan-base, and strike the newcomers with awe, as Marcos will find a way of making you dance, time after time. Stay tuned for his future projects at dacru records, as they are bound to prove what we already know ... The best is yet to come.